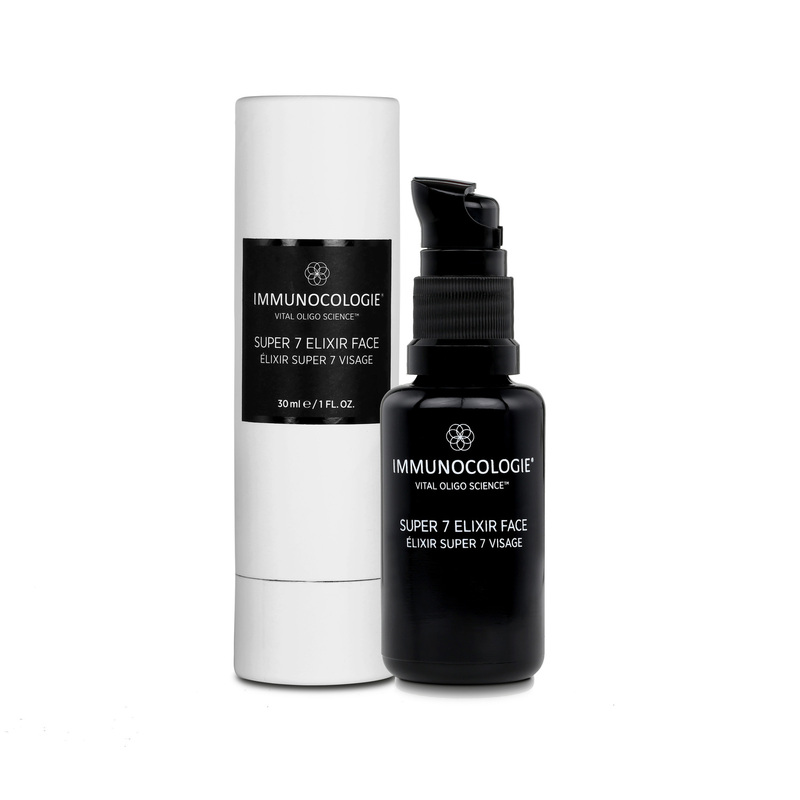 EWG scientists reviewed Immunocologie Super 7 Elixir Face for safety according to the methodology outlined in our Skin Deep Cosmetics Database. We assess the ingredients listed on the labels of personal care products based on data in toxicity and regulatory databases, government and health agency assessments and the open scientific literature. EWG's rating for Immunocologie Super 7 Elixir Face is 2. Aqua, Balanites roxburghii seed oil, Rubiginosa seed oil , Bentonite, Glycerin, Adansonia digitata seed oil, Hibiscus esculentus fruit extract, Gluconolactone, Xanthan gum, Sodium benzoate, Magnesium chloride, Magnesium stearate, Polyglyceryl-8 oleate, Vitis vinifera fruit extract, Benzyl alcohol, Helianthus annuus seed oil, Sodium hyaluronique, Tocopherol(mixed), Citric acid, Snail secretion filtrate extract, Sorbate potassium, Pogostemon cablin oil, Vetyveria zizanioides oil, LimonÃ¨ne, Linalool, Citral, Coumarin. Use morning and/or night. Apply 2-3 drops on clean skin, then gently pat onto face and neck. Let dry. Can be used around orbital eye area. All subsequent products should be patted, not rubbed, into the skin.